The Bachelor of Science in Health Sciences program (BSHS) at Kettering College provides high-quality, values-based baccalaureate education in health-related fields with the spirit of Christian caring and service. The BSHS program empowers individuals to expand their career paths. Graduates work in health care management, in acute care, and community, primary care settings. 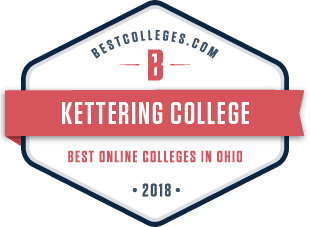 Kettering College has been ranked 2nd in the state of Ohio for Most Affordable Online Colleges for 2018-2019 by Best Colleges – a leading resource for online learning and college affordability information. Kettering College has also been named as one of the Best Colleges in Ohio in 2018. If you are a healthcare professional with an associates degree looking to complete your bachelors online, this is the degree for you. Kettering College offers an online Bachelor of Science in Health Sciences completion program designed for those who have obtained an associate degree or its equivalent in health care and wish to pursue a Bachelor of Science degree. Those seeking greater emphasis in specific health care disciplines may choose from management, education, sonography, advanced imaging, and respiratory care. Are you looking to get your bachelor’s degree and launch into a career in management immersed in a healthcare setting or wanting to prepare yourself for an occupational therapy degree? The health sciences program offers a Bachelor of Science in Health Sciences majoring in healthcare management and a pre-OT tract for students wishing to apply to an occupational therapy program. This major is the equivalent of a four year degree taken in three years full time and is a blended degree of online and on campus courses. To talk with a faculty member in the program, contact 937-395-6566 or email Paula.Reams@kc.edu.